Nintendo’s officially licensed Game Boy Watch pays homage to the pop-culture icon and lets fans of ‘80s gaming upgrade their timepiece collection. The digital wristwatch is an exact replica of the first generation of the portable gaming console, miniaturized for your wrist (4.3-in (h) x 3.1-in (w) x 2.2-in (d)). The watch features a grey silicone strap and digital display with a D-Pad backlight that illuminates in the familiar Game Boy shade of green. Set the time with the working console buttons, and set an alarm that plays the Super Mario Land music when activated – nifty! 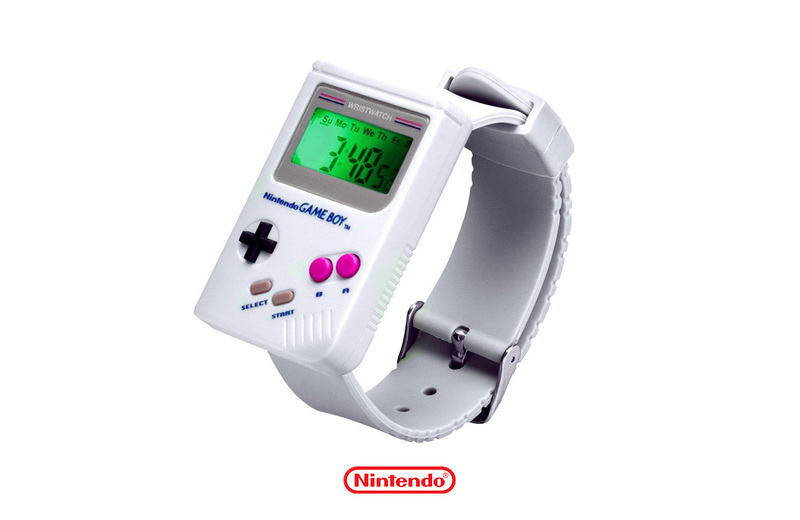 The Game Boy Watch is available online from a variety of retailers and checks in at $26.99 USD. Yoga Joes are Little Green Army Men with a Zen twist! Retro-gamers can now pay homage to the 8-bit era by decorating with custom video game art from the UK-based 8 Bit Boutique.